Newest Workshops: Absolute Beginner’s Salsa! Dancing is a fantastic way to build confidence, meet new people, release stress and connect with others. Salsa, (like the sauce) has a lot of spice and flavour. 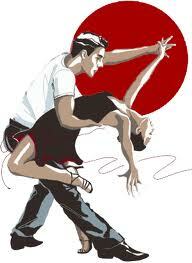 See my “Latin Dance Lessons” tab for more details about lessons. Privates and Couples’ lessons available at my home studio at very affordable rates and under completely non-judgmental conditions. Group lessons coming soon to Orangeville. SALSA, SALSA!!! Brrrrrrrrrrrrriiiiiha!